Renown for its delicate foliage which shimmers in the slightest breeze. Smooth bark is greenish when young, maturing to white. Golden fall color. Requires moderate water after established. Can tolerate heavy clay soil. 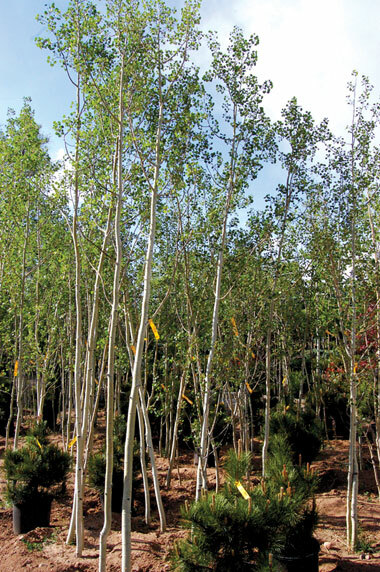 Distinguishing Characteristics: Smooth bark is greenish when young, maturing to white. Golden leaves in fall.